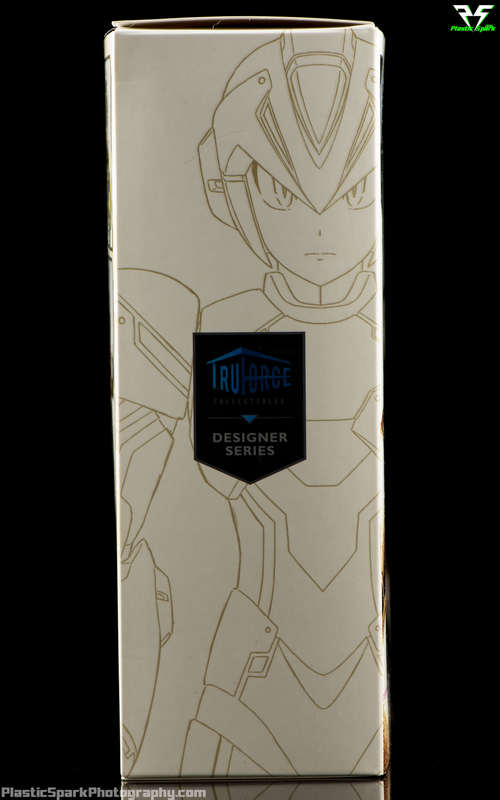 The first variant that came out of TruForce Collectibles, Mega Man X-Kai, was a New York Comic Con 2015 exclusive but was also made available to Kickstarter backers to add on to their initial orders. 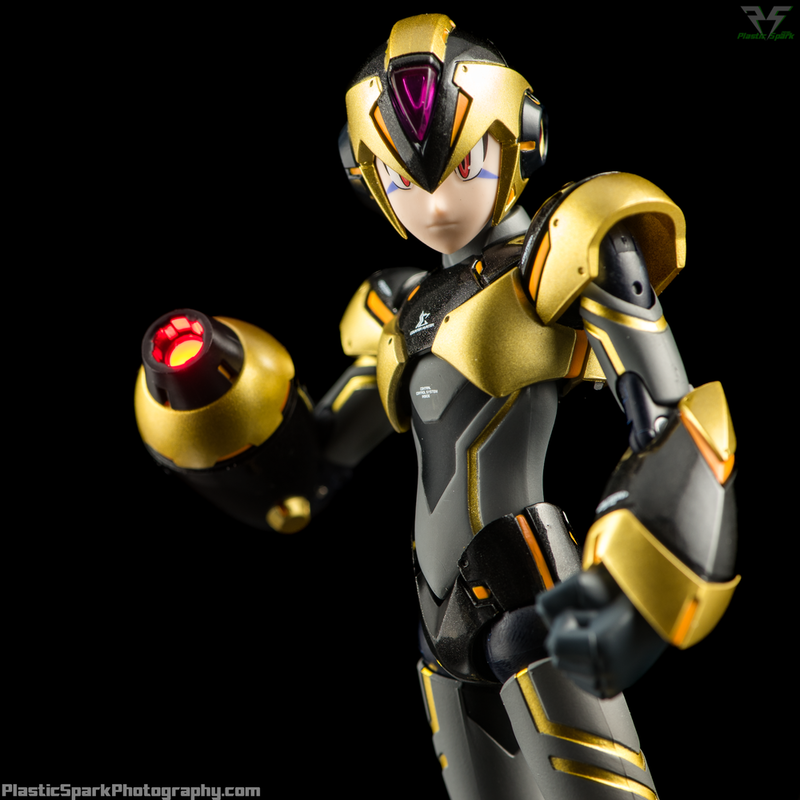 To check out the original Mega Man X review where I go over articulation and engineering click here. 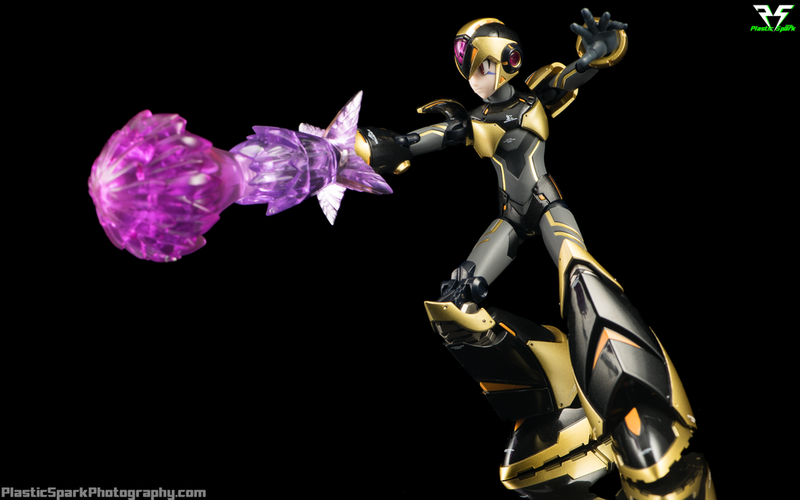 X-Kai is based off of an unused X Hunter from Mega Man X2, this "Counter Hunter" variant is identical in engineering to his blue counterpart but with a gorgeous metallic black and gold colour scheme. 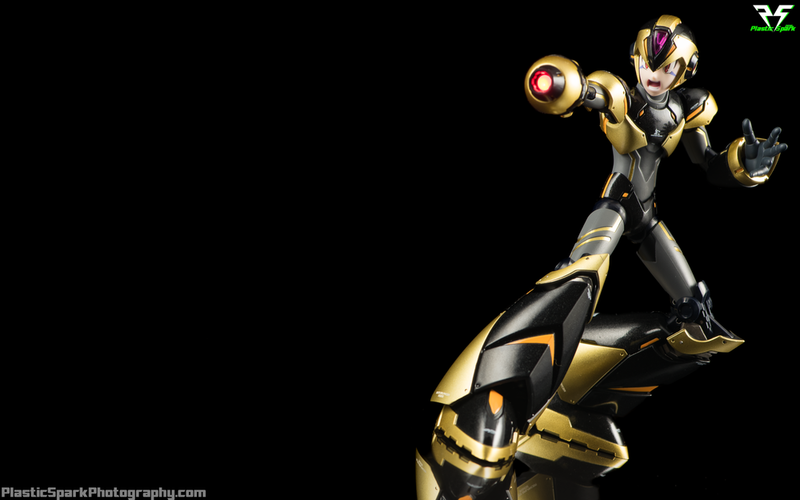 The purple cheek stripes and red eyes are also very reminiscent of the same designs on Bass from the classic Mega Man series, whether intentional or not. 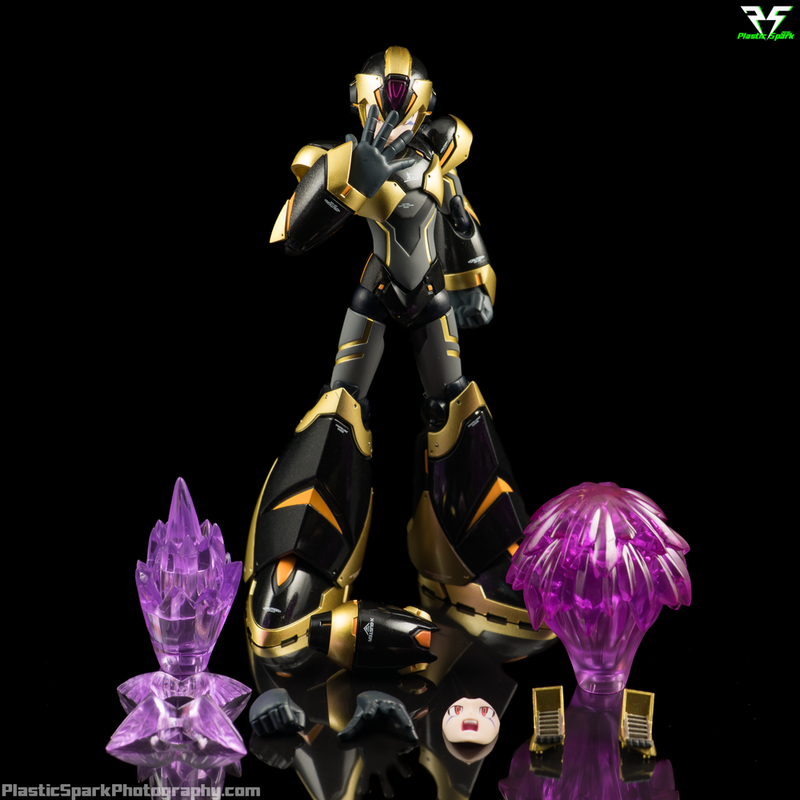 He ships with purple blast effect parts identical in design to the other versions of X.
X-Kai has all the same gorgeous tampograph details that I loved on the original but with the "Irregular Hunter" chest logo changed to the emblem of Sigma, the leader of the Mavericks and the text changed to read "Counter Hunter". 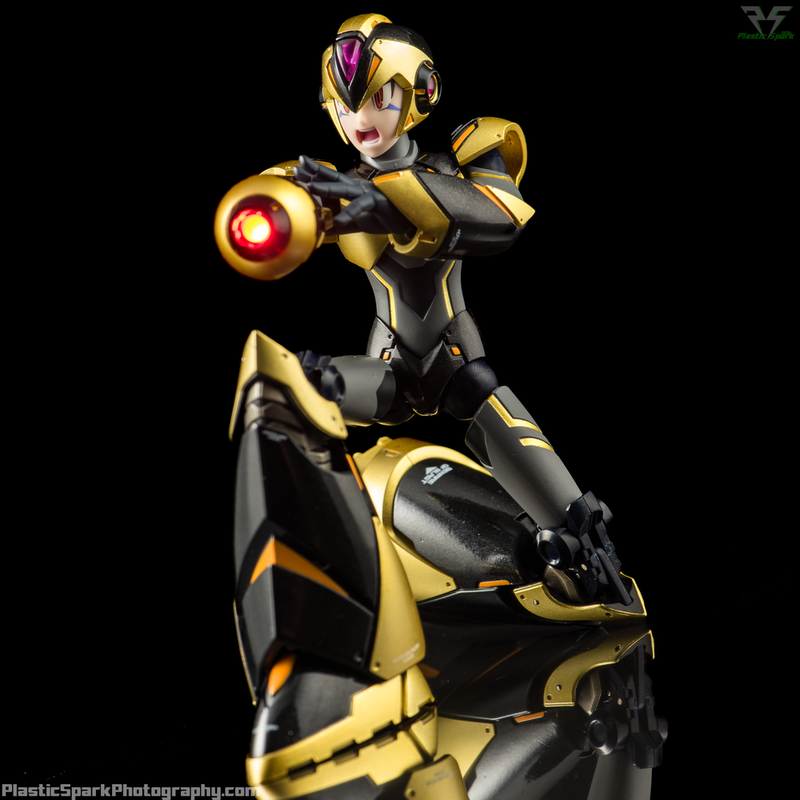 The paint job is an absolutely gorgeous mix of metal flake black, metallic gold, and gunmetal accents. There is a little bit of paint slop but it is near impossible to notice without turning a macro lens on him. To the naked eye he looks nearly flawless. One important note, in hand this paint job seems to be the least resilient of the 4 and you would do well to handle X-Kai very carefully, I managed to acquire a couple scratches and paint rubs on my copy while handling him for this photo gallery. 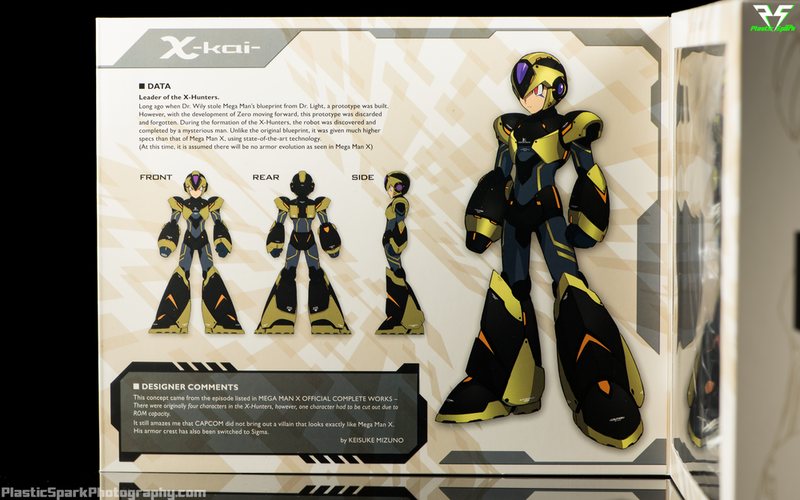 One other thing I'd like to note is that X-Kai has, in my opinion, the nicest packaging of all 4 variants. The champagne off-white with gold line art on the sides just pops and I really, really dig it. Lately I've been getting rid of a lot of packaging but I don't think I'll be able to part with these boxes. 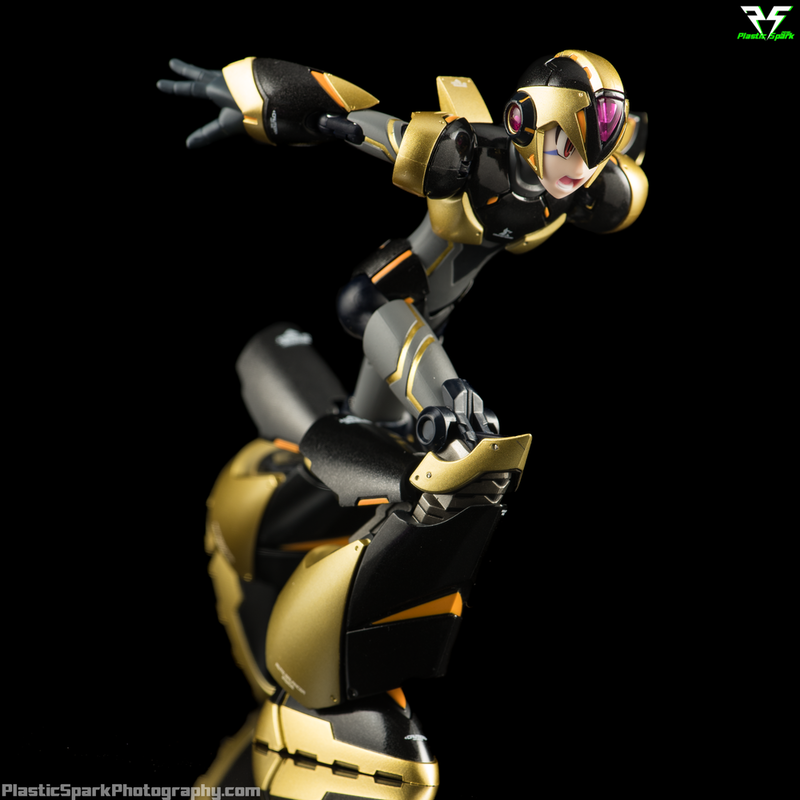 They even include window flaps so you could display the figure in box if you wish. 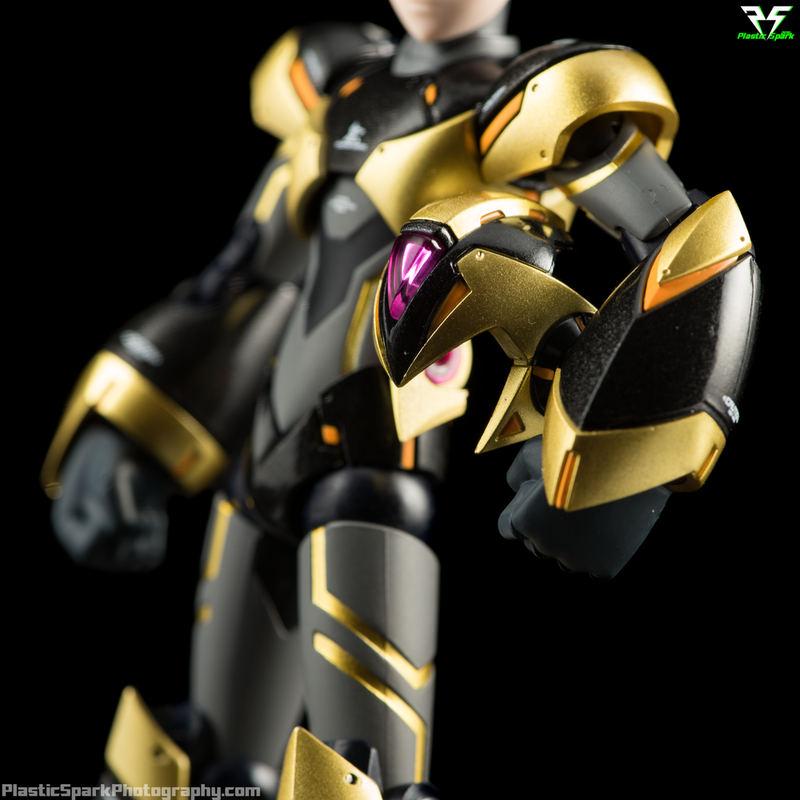 Check out the hi-res gallery and let me know what you think of TruForce Collectibles Mega Man X-Kai in the comments. 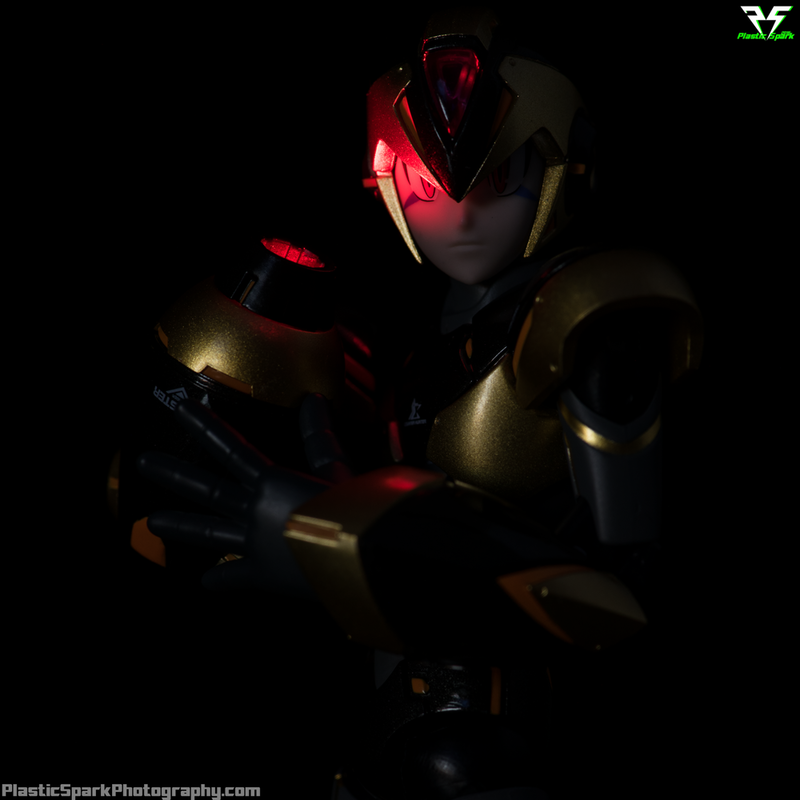 If you want to check out the original review of TruForce Mega Man X for all the info regarding articulation and engineering you can check it out here.